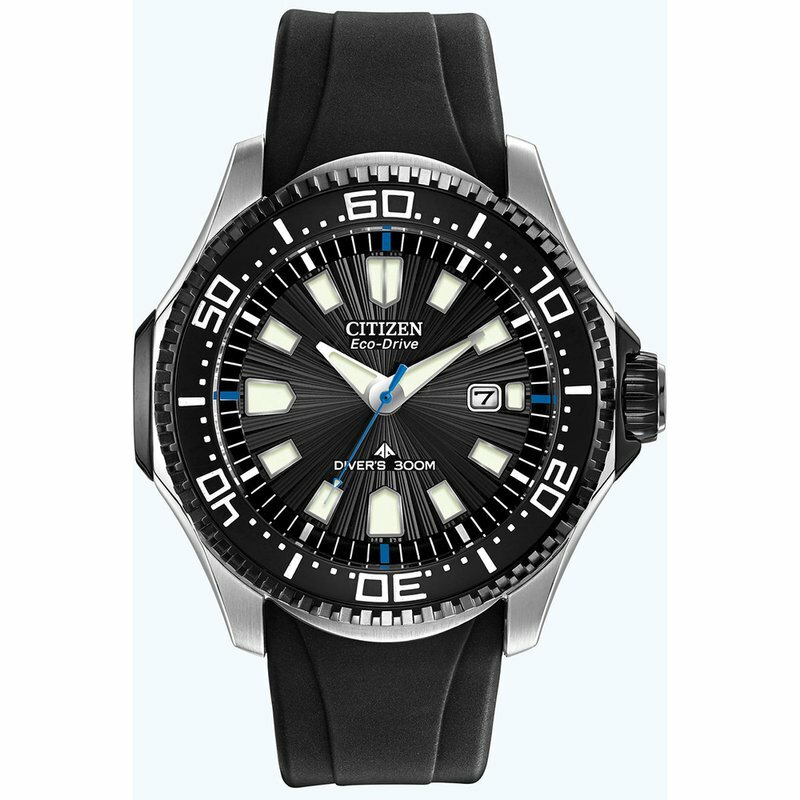 Make a splash with this ISO-certified watch from the Citizen Eco-Drive Promaster Diver Collection. It is fueled by light and never needs a battery, so you'll never need to open your caseback or compromise your dive again. One-way rotating elapsed-time bezel, screw-back case and screw-down crown and non-reflective crystal with poly strap.